To be honest, I needed coasters and had a bunch of beads I bought from Toys"R"Us that has been sitting around in my house for at least two years. In case you haven't noticed, I'm a serious 'ooh I can make this into something else with a little bit of DIY' hoarder. Which explains why I had to turn my living space into my personal DIY studio space, because I was running out of hoarding room. OK. Back to the beads. 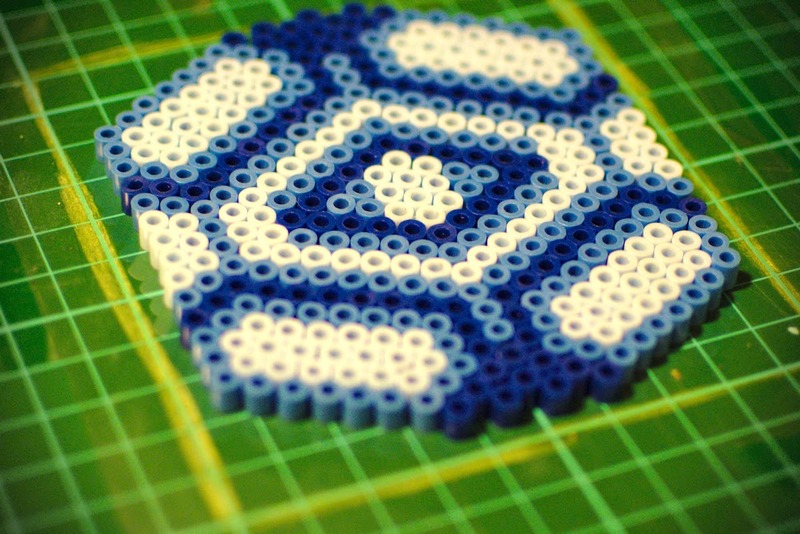 So yes, I had so many ideas for these beads but just never got around doing anything about it. This was until I realised that I needed coasters. I know it doesn't seem like there's a connection at all, but somehow something went off in my brain. 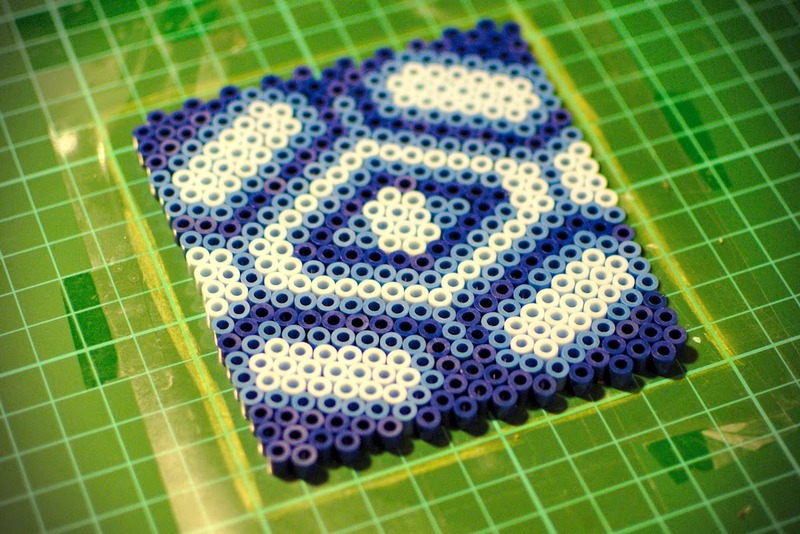 Anyhoo, here's how I made coasters with beads! 1. Medium sized beads (lots of them in pretty colours). 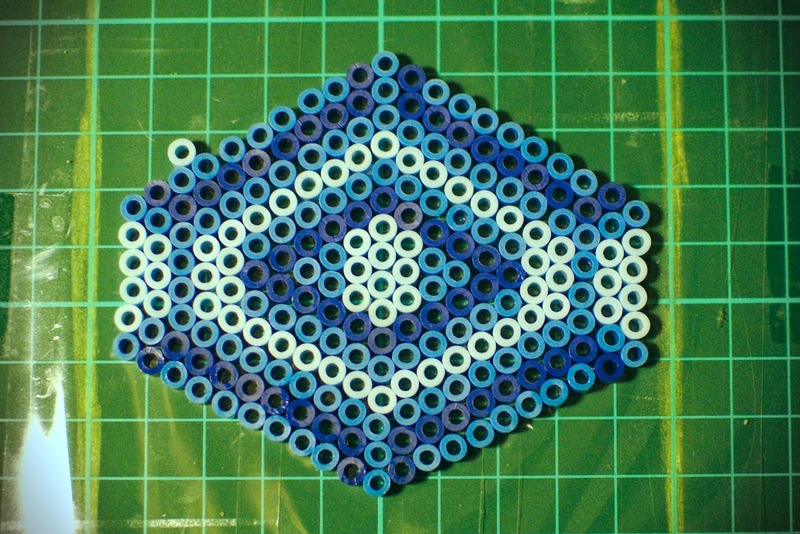 The ones I used are very similar to Hama Beads. 1. 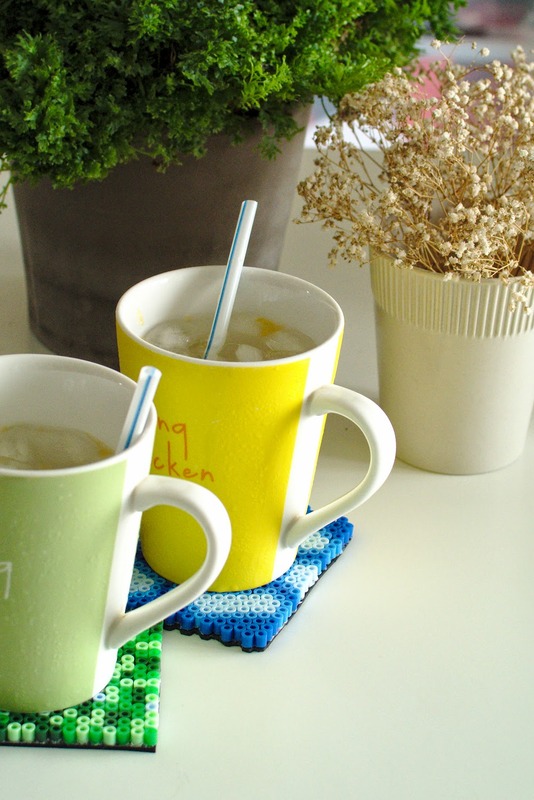 Draw a square on a cutting mat, roughly to the size of a mug. 2. Then, cover every inch of the square with tape (sticky side facing upwards). 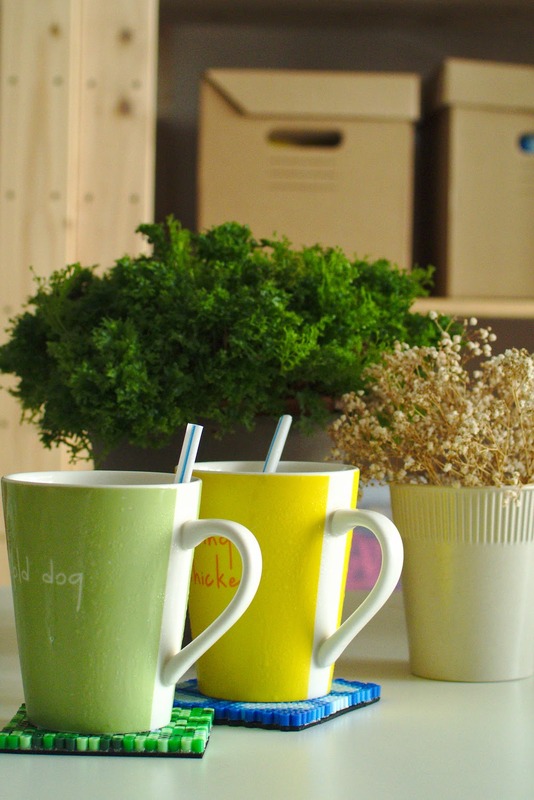 Use several strips of tape and it does not matter if they overlap. Secure the strips down to the mat by taping down the sides (outside of square). Unfortunately my picture of this turned out to be crap, so sorry. 3. Now, the fun part begins! 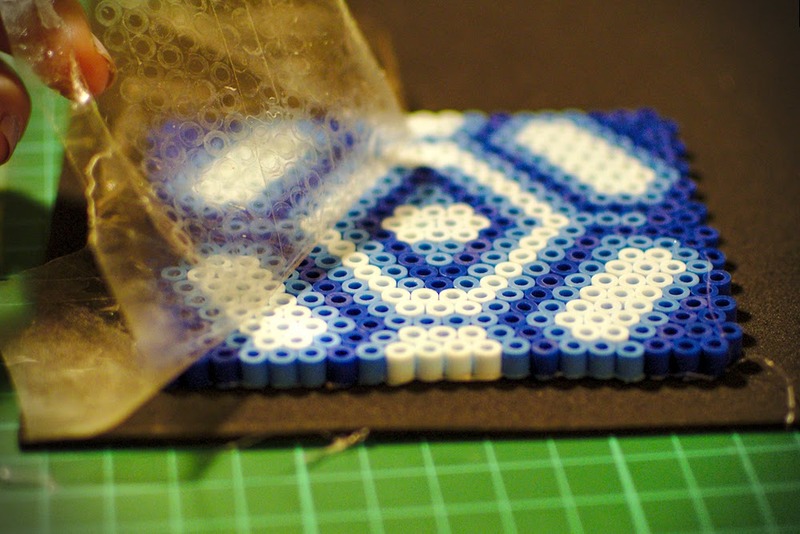 Gently arrange the beads on the tape. You see, the tape holds the beads/design together. You can either use fingers or a pencil. I used a pencil for better control. 4. Slowly work your way through the design. The best thing about tape is that it is very forgiving. If you change your mind about something, just gently pull the beads out and start over. If you like, you could also do a random design version. 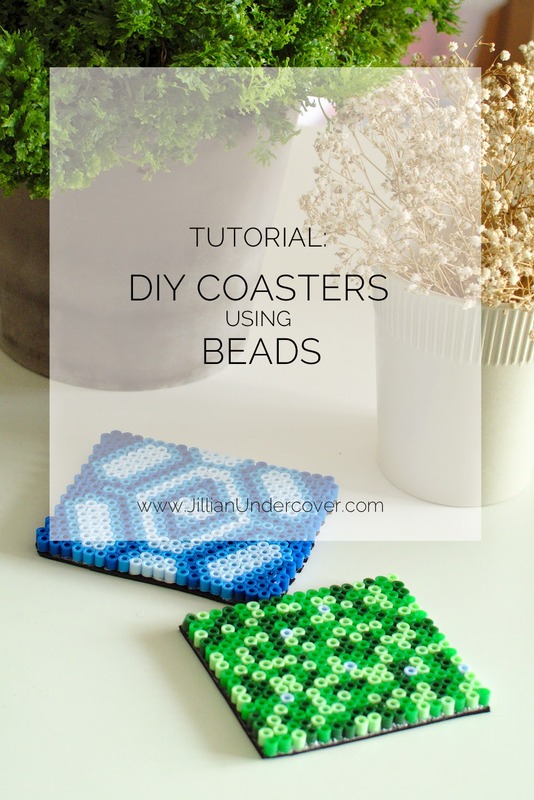 See the coaster I made with green beads below! 5. 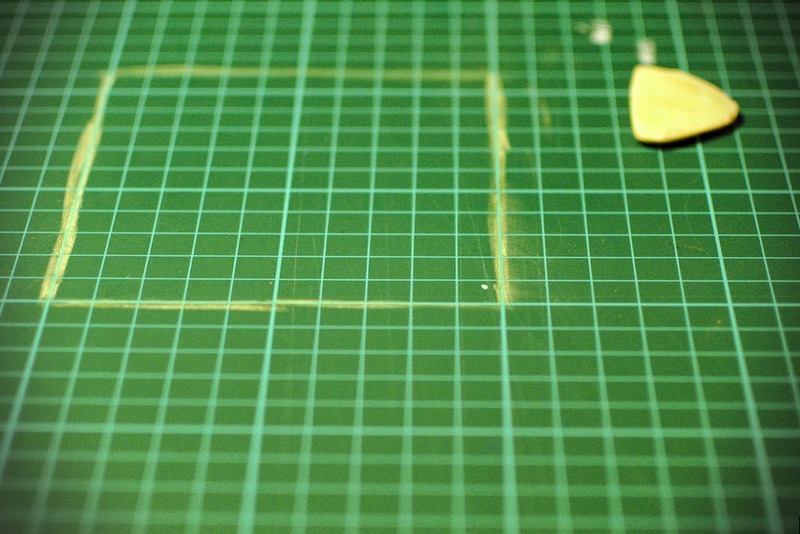 Once the design is complete, detach the sheet of tape from the cutting mat. 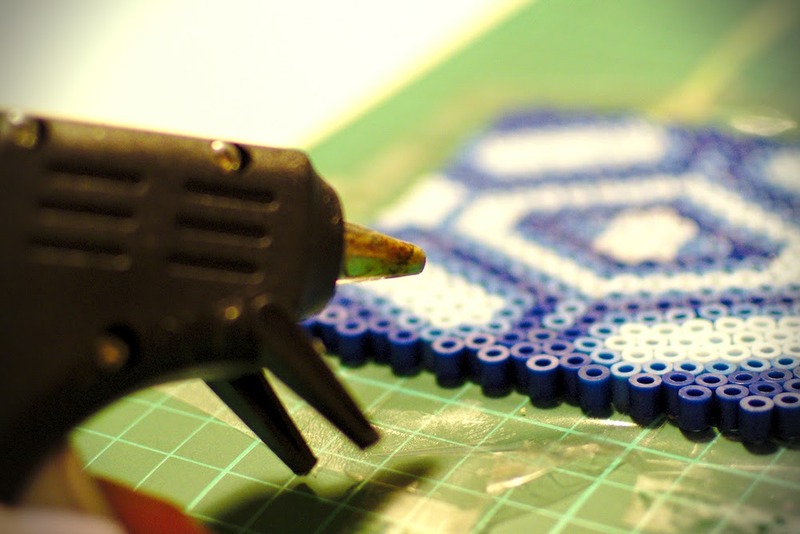 Then, spread a generous amount of glue all over the top of the beads (like spreading butter over bread). In this picture, you'll see that I used a glue gun but it turned out to be quite disastrous. As I had mentioned, I highly recommend using GOOP or E6000 glue. 6. 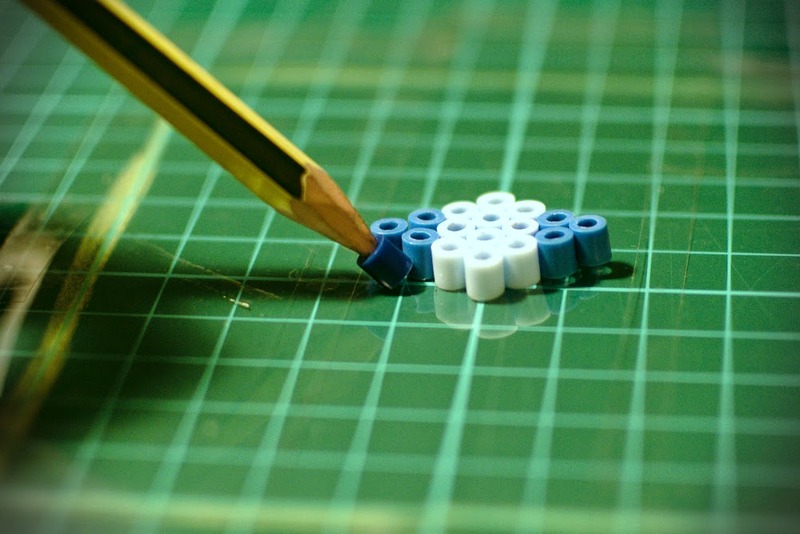 Very quickly before the glue dries, paste the entire design onto a sheet of felt/cork/foam. Let dry for a couple of minutes, before gently removing the tape. 7. Leave to dry overnight before trimming the edges. And you're done!